This week Carlin & Christian sit down and watch the new Disney show, ‘Stuck in the Middle’. Here’s the description for the show: Set in Massachusetts, the series tells the story of the Diaz family, specifically focusing on Harley, the middle of the seven children. Harley makes her way using her abilities as a prodigy in engineering to deal with the problems of being in a large family. The takeaway? Carlin was shocked at how much his dad liked this show. Chalk it up to the Ninja twins – namely Beast. Check it out. Remember, if you watch the episode AND leave a comment below, you could win a FREE Amazon.com or iTunes gift card. 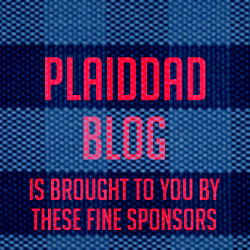 For previous episodes, visit http://WhatAreWeWatching.com/playlist and for more great articles and videos, check out http://PlaidDadBlog.com. Podcast Season 5 Is Here And So Are The Teletubbies – YIKES!